Medicine and science. Science and medicine. They go so well together it almost seems synonymous these days. We have made drastic leaps in medical technologies, which have allowed us to understand disease processes down to the level of the smallest known constituent of life, DNA. This day in age nothing seems impossible. Even with so much forward movement as well as current research, there are some antiqued practices still employed. Some medical practices have very little evidence other than clinical experience for their effectiveness. Even with lacking hard data, S these therapies stick around and for good reason, but others continue to be used for seemingly no reason at all, other than for the sake of nostalgia. Surviving the test of time may not necessarily be a good benchmark for some of these therapies as originally they formed from fiction. These are medical myths. A myth, for those who don’t know, is a non-factual story or a false belief in something. You can see that myths are not something welcome in medicine and for good reason. Hard to believe that the word ‘myth’ can be in the same sentence as medicine. Thankfully these myths are few, but their infrequency does not make them any less significant. The following is one of the oldest medical myths that thankfully we have started to question. Unfortunately this one has serious implication and with all the information and facts, the myth continues to spread. You’ve heard this before. I’ve heard this before. This is a medical mantra that is engrained in physicians and repeated more in medical school than the Hippocratic oath. So, you get sick, you’re prescribed antibiotics and instructed to finish all antibiotics regardless of how you feel. Seems simple yet many are finding this ineffective. The common cold or annual sinus infection is now requiring additional rounds of antibiotics or maybe even multiple forms. This advice is made nonchalant and with confidence. After all it’s the 21st century and well…science! What if I was to tell you that recommendations to finish the entire course of antibiotics don’t have much science behind it? Scary thought. Well, now after over 80 years, this fact has finally been exposed as one of those medical instructions loosely based on science and far from fact. This misinformation has been disseminated for decades. The original thought process behind this was that finishing the full course of antibiotics would scare away antibiotic resistance. This is an important time (in this article and in time) to stop and understand what antibiotic resistance is because that is truly the over-arching issue. Antibiotic resistance is real, it is dangerous, and we are currently in the trenches fighting this battle as it reaches epidemic proportions. Antibiotic resistance is estimated to cause 10 million deaths worldwide by 2050. Compare this to 8.2 million deaths from cancer. To further put this in perspective, the World Health Organization estimates just 1.3 million people die each year from car accidents, worldwide! Antibiotic resistance is not something we are concerned about for the future, like exhausting social security or the potential collapse of the Medicare system. Antibiotic resistance is happening right now and immediate action, based on factual science must prevail if we have any hope in turning this around. The first antibiotic was introduced into clinical care in the 1940s. Seems crazy, it was just 80 or so years ago that this therapy was first used. They are so commonly used today, that most of us assume antibiotics have been around forever. Unfortunately, in this short period of time the amount of antibiotics used has dramatically risen. How much you ask? Well, according to a report in 1945, 270 pounds of antibiotics were used per month. In 2013 we had a slight increase from that time to 102,000 pounds every 24hrs. This is far from a linear increase with population growth. Antibiotics were seemingly so effective when they first broke out onto the scene that it appeared every condition could benefit from them and obviously we have taken this a step further. Bacteria have evolved for thousands of centuries and like us, they just want to survive. When they are exposed to harmful substances or environment over time, they adapt. 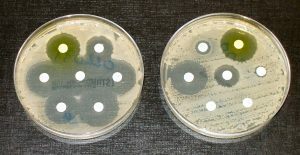 Some bacteria will make resistant offspring called spores when the environment is not conducive to growth. These spores are some of the most resistant forms of life. Others will mimic our own cells to avoid immune attack. Antibiotic therapy, especially prolonged antibiotic usage, will eventually lead to the bacteria’s adaptation to beat the antibiotic and thus antibiotic resistance. Some of you may be wondering, if you have never taken an antibiotic are you safe from this issue? No. No you’re not. Antibiotic resistant bacteria are spread just like any other bacterial infection and being exposed to them from handshakes, kisses, and animal products, etc. In a study recently published by Harvard Medical School (1) researchers constructed a ‘mega-plate’ or a large agar plate (a dish used to nourish organisms as they grow). They divided the dish into several sections and saturated them with different dosage of antibiotics. The outermost section was free from any drug, the next section contained just above the minimum antibiotic needed to kill the bacteria. Each succeeding section showed a 10-fold increase in dosage of antibiotics, with the center of the dish having 1,000 times the amount of antibiotics as the section with the lowest dose. Over the course of two weeks, a camera monitored the growth of the bacteria across the plate. It took two weeks for the bacteria to mutate from the drug-free section of the agar plate to spread into the section with 1000x the dosage. Note: Representation of antibiotic resistance shown on a growth plate. At each level on increased antibiotics, some of the bacteria adapted and survived. Harvard states “Resistance occurred through the successive accumulation of genetic changes. As drug-resistant mutants arose, their descendants migrated to areas of higher antibiotic concentration. Multiple lineages of mutants competed for the same space. The winning strains progressed to the area with the higher dose, until they reached a drug concentration at which they couldn’t survive.” This was performed using the antibiotic trimethoprim, however researchers decided to use another antibiotic to test the theory again. This time they used ciprofloxacin and the bacteria developed 100,000-fold increase to the initial dose. This study also suggested that the evolution wasn’t always led by the most resistant mutants, and that the strongest ones often move behind the more vulnerable strains. Are we currently seeing the more “vulnerable strains” becoming resistant to antibiotics within our society, only to have more resistant, stronger, mutating bacteria gaining strength through the continuous prescription of more antibiotics? If we quickly act, can we turn this around? Hate to be the ol’ “negative Nancy” but…no. Bacterial resistance has existed since day one. This is not a ball you can stop from rolling down a hill. The task of stopping this process would be more accurately described as trying to stop a volcanic eruption with an umbrella. There are two big reasons for this. 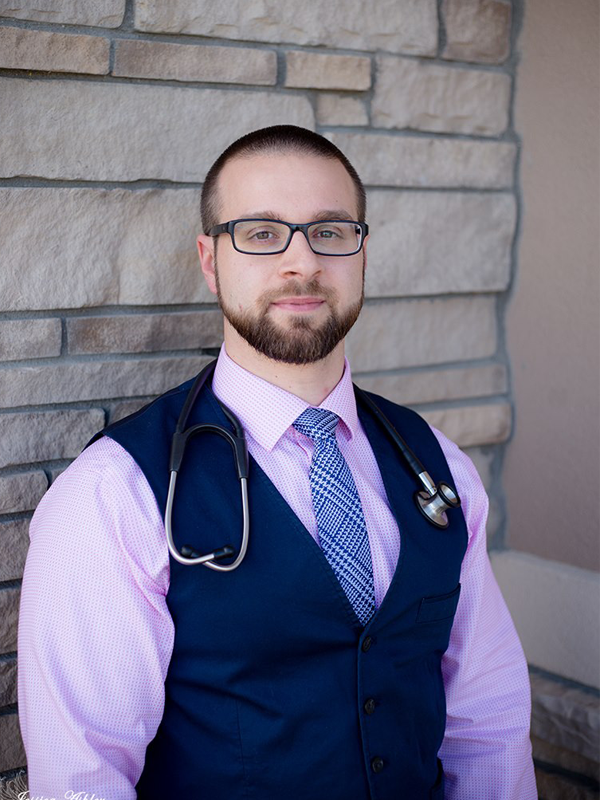 For one, these medical principles have been so ingrained into the fabric of the prescribing physician that re-learning would be met with great resistance (pun intended). Medical customers (patients) are so accustomed to receiving antibiotic for nearly everything we now even demand it. Imagine going to the doctor, while you’re sick and not getting a script for an antibiotic. You would feel cheated and that that visit was a waste of time or possibly that your doctor was inept. Secondly, the bacteria have abilities that pre-date antibiotics by thousands of years that all them to manipulate their DNA to be able to achieve this resistance. These changes are here to stay and will be passed on for bacterial generations. If your jaw hasn’t dropped yet, these bacteria can even share changes with neighboring bacteria, much like borrowing some flour from your neighbor. Multiple and/or prolonged exposure to antibiotic therapy leads to more resistance. The bacteria learn about their environment and change different things about them to create resistance. The more resistance, the more antibiotics that are prescribed hoping that the addition exposure will reduce the bacterial load. This is quite the opposite of what happens. “The strong will survive.” If one isn’t enough then more is better. That thought process has led multi-drug resistant bacteria. They were exposed to many different antibiotics at once, which we hoped would kill them off. This just leads to prolonged courses of ineffective treatments, unnecessary multiple antibiotic therapy, increases in antibiotic resistance and the creation of the chronically ill patient. Antibiotics are semi-selective in their target audience-they are compounded to effect certain bacteria and not your own body cells. This is a good thing. Unfortunately, there are trillions of good bacteria that also have the potential of being affected by antibiotic administration. The goal of therapy is to kill the bad but not the good—that rarely happens. Ever take antibiotics and get a yeast infection? How did this happen? Well, simply put you killed off too many of the ‘good guys’ that were occupying space thus leaving plenty of room for those other organisms that are unaffected by the antibiotic to begin to rapidly divide- i.e. yeast. The longer the therapy, the higher risk you run of killing beneficial flora, damaging tight junctions in the GI tract, and causing micro nutrient depletion. For example, tetracyclines deplete minerals like calcium and magnesium. The “-cillins”, like penicillin, are known to reduce vitamin B and neomycin, vitamin A. This all sounds a bit surreal. These recommendations that have been around for so long, it is hard to believe that this could be wrong. 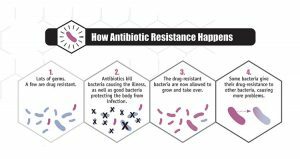 There must be evidence somewhere in the timeline that would prove that completing the full course of antibiotics is a must to prevent these resistant infections. Well…there isn’t. We are not really sure where this information came from. The best part- the amount of time or the “course” of antibiotics is not something that has been studied either- 1 day, 7 days, 10, 14 days—all seemingly made up. Some argue this and that these durations are very calculated. Based off my research and to the best of my knowledge, this is false. This is one of those things in medicine that has been heard so many times in many different forums that it has slowly ingrained itself as truth. When and for how long are antibiotics appropriate? How long is too long? Some suggest using the resolution of symptoms as a marker to back down on antibiotic therapy. Worthy of note, the resolution of symptoms does not necessarily indicate a resolution of the bacterial infections and stopping those prematurely could cause a worse situation. This is an argument for the original “full course” side. So, if finishing the antibiotic helps to prevent resistance, how does the antibiotic affect bacteria that are resistant to the antibiotic in the first place? Whether you are on the antibiotic for 1 day or an entire year that antibiotic will NOT affect a resistant microbe. Most physicians and immunologists would agree that once symptoms have subsided that much of the “infection” has been reduced to the level that the immune system can clean up the rest and antibiotics should be discontinued. One article published in JAMA in 2016, titled The New Antibiotic Mantra—“Shorter is Better”, stated that “3-5 days of antibiotic therapy are as effective as their longer duration counterparts”. Continuing to take antibiotics, especially when ineffective, will promote more resistance and has a higher chance for side effects. These are clearly not advantageous long term and can be mitigated with shorter duration antibiotic therapy. The greatest negative effect is resistance. 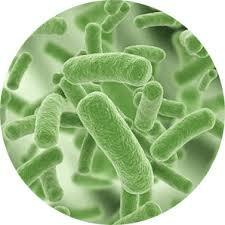 The additional pressures on the bacteria, past the point of symptoms, can increase resistance of bacteria. Modern medicine has developed tremendously over hundreds of years. It can save lives, improve the quality of life, and in some cases, save the limbs of those at risk for amputation. For example, bacterial sepsis occurs when bacteria seeps into the bloodstream, affecting surrounding tissues and organs, and if untreated, can eventually lead to death. Bacterial meningitis can directly affect the meninges (matter that lines the skull, brain, and spinal cord) and if untreated, can also lead to death. In these cases, using antibiotics is necessary to save the life of the person affected. So why are people being given antibiotics for the sniffles? At what point did it become appropriate for the patient to demand antibiotics rather than the physician telling them they didn’t need them. Another thing to understand, antibiotics are specific to treating bacterial infections. Viral infections will be unaffected by a prescription of antibiotics regardless of the type, dosage, and frequency taken. Many times, patients will present to a doctor with multiple symptoms of their acute illness. These symptoms are sometimes indistinguishable between a bacterial and a viral infection. So why guess and prescribe antibiotics without knowing what the true cause of the infection is? Why not use alternative methods that don’t have negative effects, but can also support the immune system? For example, in a study of high-dose Vitamin C therapy for the treatment of Epstein Barr Virus (around 90% of people are infected with at some point in their lives), researchers found that therapy had a positive effect on disease duration and reduction of viral antibody levels. Another study has found that high dose Vitamin C may alleviate or prevent infections caused by bacteria, viruses, and protozoa. Regular administration of vitamin C shortens the duration of colds, and was shown to halve the number of colds in physically active people. This even dates back to the early 1900s when an epidemic of pneumonia in Sudan disappeared following administration of Vitamin C.
How can we improve our immune response? We do have one thing that is adaptable, safe, and extremely effective. We’ve yet to experience complete resistance with this and we all have some. It is the cells of our immune system. The patient should be adjusting their diet and consuming different vitamins and minerals that aid with a proper immune response such as vitamin A, D, C, and zinc. In general, we need to be cognoscente of the risk and benefit ratio in the therapies we prescribe, especially with the current epidemic of antibiotic resistance. These concerns are not only weighted for the health of the patient but also the financial stability of the entire healthcare system. Over, or inappropriate, prescription of antibiotics are a major burden on our system and leaves the patient in a worse situation than prior to treatment, which does happen in rare cases but still unacceptable. I am not suggesting stopping any of your antibiotics but those antibiotics that appear to hold no benefit (either wrongfully prescribed or improper therapy) then these need to be discussed with your doctor. Resistance will always occur no matter how long the antibiotic is taken. Even at the time of writing this article, Mayo Clinic’s website still recommends taking the full course of antibiotics and CDC claims that at least 30% of all antibiotics are wrongfully prescribed. Antibiotics in agriculture and the risk to human health: how worried should we be? Evol Appl. 2015 Mar; 8(3): 240–247. Drug-Induced Nutrient Depletion Handbook (Lexi-Comp, 1999) by Ross Pelton, Ph.D., C.N. ; James B. LaValle, N.D., C.N., D.H.M. ; Ernest B. Hawkins; and Daniel L. Krinsky. Rice LB. The Maxwell Finland Lecture: for the duration—rational antibiotic administration in an era of antimicrobial resistance and Clostridium difficile. Clin Infect Dis. 2008;46:491-496. Sokoloff B. (1945) The Story of Penicillin. New York: Ziff-Davis. Spellberg B. The new antibiotic mantra—”shorter is better.” JAMA Intern Med. 2016;176:1254-1255. The New Antibiotic Mantra—“Shorter Is Better”JAMA Intern Med. 2016;176(9):1254-1255. Vitamin C and Infections. Nutrients. 2017; 9(4): 339.